If you thought Vitor Belfort (pictured) would go back to fighting strictly in his homeland of Brazil now that the Nevada State Athletic Commission has banned testosterone replacement therapy (TRT), think again. One day after the NSAC voted unanimously to abolish the controversial treatment, the recently-formed Comissão Atlética Brasileira de MMA (CABMMA) told SporTV News that their committee will follow suit. 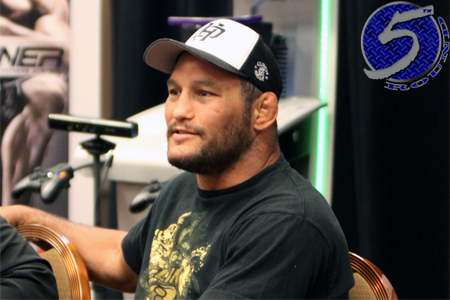 However, light heavyweight Dan Henderson (pictured) properly filed his paperwork with the CABMMA for a therapeutic-use exemption (TUE) for TRT for his March 23 fight with Mauricio “Shogun” Rua prior to Thursday’s verdict by the NSAC, so the 43-year-old veteran will be the last fighter the CABMMA authorizes to use the doctor-prescribed regimen in Brazil. Belfort has become MMA’s face of TRT due to his late-career resurgence. It has been reported the 36-year-old began his use of TRT before his scrap with light heavyweight king Jon Jones at UFC 152. That bout took place in Canada. Since nearly submitting Jones in the opening round, only to get submitted himself in the fourth frame, Belfort has finished off Michael Bisping, Luke Rockhold and Henderson in vicious fashion in Brazil, where many believe the drug testing is far more lax than America. Belfort was slated to challenge middleweight champ Chris Weidman for his crown at UFC 173, but he voluntarily/involuntarily withdrew from the May 24 tango after the NSAC’s verdict. Lyoto Machida has agreed to take his place against Weidman, with Belfort promised the winner.